Recently, I was asked about the meaning of the song title Symphoni Draconis Inferni. This latin title means Symphony of the infernal dragon. 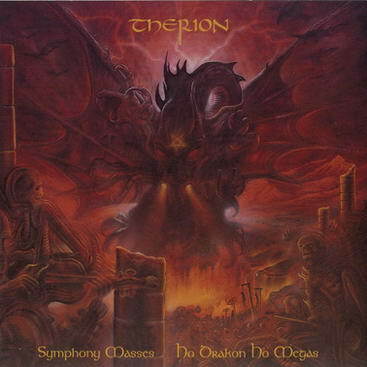 The band's name and the subtitle is ancient greek: therion means beast, big animal, and ho drakon ho megas means the great dragon.